Note: We are in no rush for the material so are looking for most cost effective option. 1) Material certificates to EN10204/3.1 traceable to tubes required. 2) Heat number shall be stenciled on all tubes. 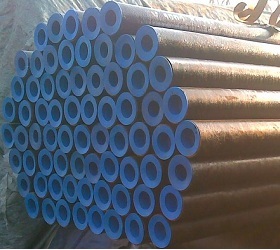 4) Tubes shall be suitable packed and protected from saltwater spray during shipment. 5) Timber boxes shall be sturdy and steel reinforced. 6) Packaged so Boiler 1 quantity can be suitably picked without breaching Boiler 2 packaged quantities. 7) Delivery FIS Sydney Metro NSW. 8) Photo evidence before and after packing required. 9) No origin restrictions however current ISO9001:2008 quality certification for facility to be produced before award. Your response by Thursday Feb 2 would be very much appreciated. Let me know if you need more time and I can try for a EOT.